It’s easy to get swept off your feet in a new relationship. 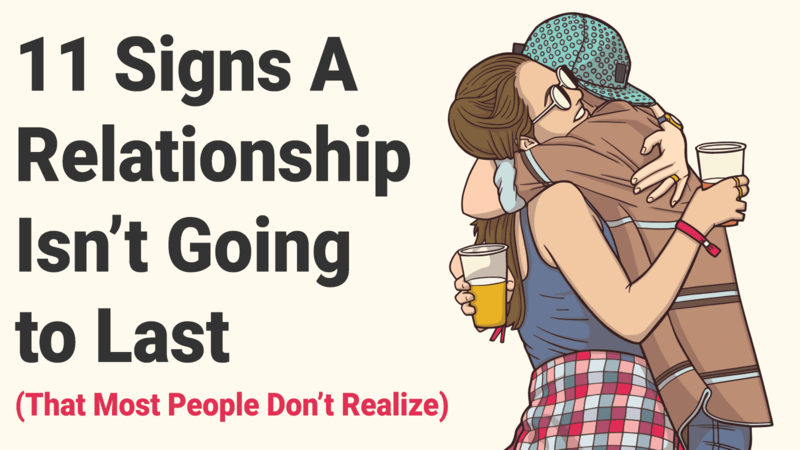 But when the excitement fizzles out and the honeymoon phase is over, you can actually see signs that a relationship will work out for the long term. You can also grow aware of some red flags that a relationship won’t last. The signposts of a future breakup are many, but most people don’t realize what those look like. So, we want to provide you with some things to look out for that signify a broken or ill-fated relationship. 1. You don’t talk about the future together. One of the signs of relationship not working anymore is if you’ve been dating for a while but haven’t talked about your future. For instance, if you’ve been living together for 18 months but your partner refuses to discuss marriage, it could be a big red flag. Does he find it difficult to communicate properly, or does he actually not see any future with you? 2. You’ve been in the relationship just for the passion. Passion has brought you together as a couple but what happens when that mellows down? If you haven’t experienced a strong connection in other areas, then it’s not going to become long-term. For a new relationship to flourish, it needs to go beyond the physical connection. You should be emotionally and mentally connected as well. So, if you feel that you’re in this together for the passion only, it’s probably best to end the relationship because that kind of connection won’t last long. 3. There’s no honesty and openness. Mature relationships allow partners to be forthcoming and open with each other because of their level of intimacy. It becomes a big problem, therefore, when you hide stuff from their partner or when you feel you cannot be fully yourself with him. Psychologist Antonio Borrello told Huffington Post that hiding feelings can happen because there is no trust. It’s also possible someone is doing things that are not compatible with their ideas as a couple, so they bury the details. If this is the case, then the relationship doesn’t have a solid, strong foundation. 4. There are no fights, but no communication either. You believe you’re in a blissful, stress-free relationship because you don’t fight. But what you might not realize is that fighting is a form of communication. It happens when couples are trying to reach a compromise together. Couples who don’t fight aren’t communicating their feelings. It’s a sign that they don’t want to work their conflicts out, which could signal the end of a relationship. 5. You don’t like your partner’s friends. The company you keep defines who you are. People are usually drawn to make friends with folks who like the same things they like or have the same qualities they have. So, if you don’t like his friends, this can be one of the signs of breakup because that relationship won’t last. Why? You’re likely going to discover more things about him that you might not like as well. Remember, friends reflect who you are. 6. You’ve developed similar interests but have not pursued others. Partners who love to do similar things ideally live happy together, right? When two people like the same stuff, it’s supposed to be positive, or at least that’s what everyone thinks. But relationship expert Erika Boissiere told Bustle that this isn’t always a good thing. 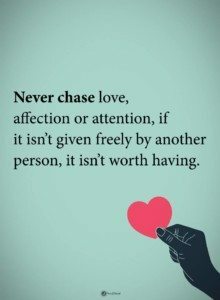 If you’ve been doing the same things together and have stopped pursuing your separate and unique interests, then you could end up with a broken relationship. This implies too much dependency on your partner, which won’t allow you to grow and evolve into your own person. She had a huge fight with her best friend, but you can’t understand why she’s so depressed about it. So, you become dismissive of her feelings. But the lack of empathy for what your partner is going through is another sign that the relationship won’t last. If you’re attuned to each other, you must be able to understand and imagine each other’s struggles since empathy is also a form of connectedness. If this feeling doesn’t exist, you’re in a broken relationship. 8. You don’t have decisions in the relationship. Who always chooses where you eat or what movies you watch? In the beginning, always letting him pick the places might seem fine because it does feel good that he has taken care of these simple choices. But small choices do matter to your relationship if you’re trying to make it last for a long time. If your partner constantly dismisses your choices, that’s a sign that your opinion isn’t valued. This can hurt your connection with each other. 9. There’s no give and take. In the same way as giving value to your choices, how often do you compromise? Who is always the first to make up and apologize when you have a misunderstanding? The romance can quickly burn out if there’s no give and take. If you’ve been sacrificing your needs just to “compromise,” then you will be drained and exhausted soon enough. The relationship will quickly meet an end because it is already a broken relationship. 10. Your partner treats other people poorly. People always put their best foot forward at the beginning of relationships, but you should always pay attention to your partner’s behavior towards other people. For example, how does he treat waiters? How does he act toward his parents or co-workers? If you’re going to be in a long-term relationship with this person, you will have ups and downs. And when the love and affection aren’t there, how will he treat you? Your relationship might not have much of a shot if he’s this way. 11. You feel obligated to be with your partner. If going out for dates feels like an obligation, consider this a sure sign the relationship isn’t going to last. When you have no energy and enthusiasm to be with her, other than because you think it’s your duty as the boyfriend, maybe it’s time to fess up and end things for good. There are many signs of an unhealthy relationship most people don’t realize, but these red flags can be dissolved if you discuss your issues with each other. If your partner is willing to talk and fix the issues, then you have a gleam of hope that the two of you can pull through together.